Fireworks and spectacular performances were expected at the Drama Divas Convention, being framed for murder was not. 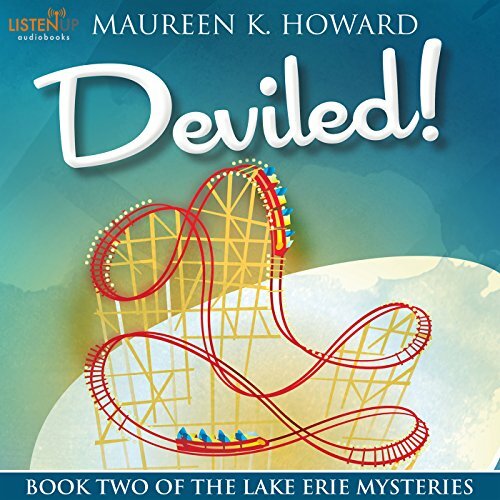 Best friends Francie and June thought attending a three-day acting seminar at Devil's Island Luxury Resort and Amusement Park would provide the perfect opportunity to indulge in some relaxation and entertaining girl time, but stumbling over a dead body throws a wrench into their holiday agenda. Glamorous women, gorgeous men, and unlimited access to free food, drinks, and the resort's world-renowned spa do little to distract the unwitting sleuths from their mission to uncover a murderer. Encounters with creepy clowns and a peculiar conventioneer with a bad toupee muddy the waters as Francie and June sort through clues, dodge disaster, and discover a devilish plot. Can they unmask the murderer before their lives are changed forever? Ms. Patterson brings the characters to life in an engaging manner. She does a great Russian accent. The mystery is filled with twists and turns. The friendship between Francie and June is precious and some of the things they get themselves into are hilarious. The supporting characters are well-drawn and add lots of interest to the plot. Grab this book if your looking for pure entertainment.